Every human has small or big goals they want to reach in a certain period of time. Someone wants to earn their first million till their 30, someone dreams of losing weight till summer. Habits control your life and influence your behavior while remaining unnoted. Good habits help you achieve your goals, bad ones slow you down on that way. First, forget about the inspiration. The habit is more reliable. It will hold you still, no matter if you are inspired or not. The habit is stability in practice. What is Bad in Setting Up Goals? When a human decides to change something in their life, they set a certain new goal. Yet such approach has its lacks. That is why many people come back to their starting point after achieving their goal. Someone runs a marathon and then forgets about training. Someone gets rid of their excess weight, and then celebrates their victory with a cake. The goal can be not reachable. Getting a muscle injury cannot allow a sportsman to take part in the important tournament, unpredicted exes can cross your expected journey to the seaside. When setting up a goal, a person builds up an algorithm to achieve it. But sometimes things go not as planned. Researches show that human brain can think a goal setup to be its achievement. A person relaxes and starts believing the fact that the goal is achieved and there is nothing to go to anymore. Especially, this shows up when they tell others about their goal. What are Advantages of Habits? A habit is where knowledge, skill and wish meet each other. When a human completes something because of a habit, they act automatically, without thinking. This is how they can reach the goal smoothly and easily. This systematic approach has its own pluses. Someone set up a goal to write a novel. They decide to write 200 words per day. To reach the goal, they are going to need 250 days. But sometimes, they can write 1000 or even more words at a time. This will become a habit later. As a result, the book will be finished much earlier. It takes 30 days to form a new habit. This is the period during which a person gets used to complete a certain action every day. The whole human’s life consists of habits they doubtfully note. According to researches, humans perform nearly 40% of actions daily exactly because of their habits. These actions can remain unnoted, but they are what forms a person. Human’s life has its certain form, but it mostly consists of habits: practical, emotional, intellectual ones, which lead them towards their fate whatever it is. If a habit got into a personality, a human is going to carry it through the whole life. 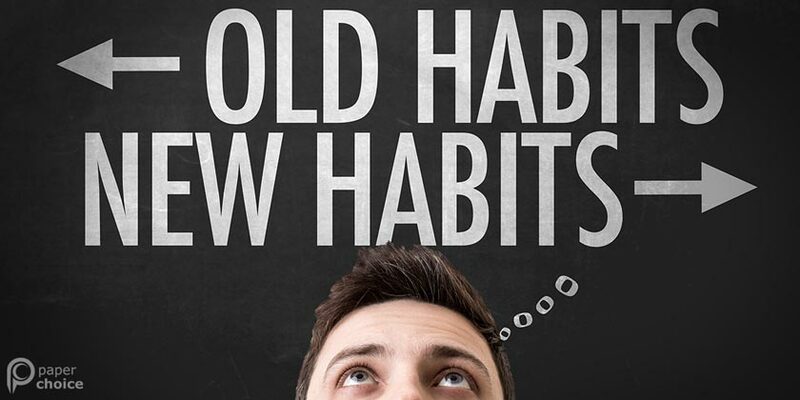 Some habits can significantly change your usual behavior. They are sometimes called by psychologists as “key habits”. For instance, everyday going in for sports can cause a person to eat healthy and to refuse smoking and alcohol. 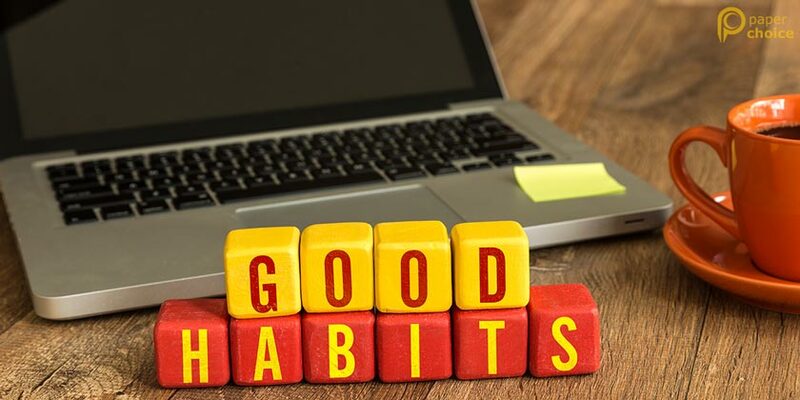 Many successful people note that humans improve their lives when concentrating on forming habits, not on setting goals. Warren Buffett, the American billionaire, reads every day, improving his skills and gaining knowledge. Steven King writes 1000 words every day. Kenyan athlete Eliud Kipchoge makes notes after every training session, marking and analyzing his weaknesses he needs to work on. Such habits lead to amazing results and change human brain. If you want to reach a goal, you need to devote your time to forming good habits, not to setting up goals. Rated 4.5 | From 159 users.